A federal judge struck down the city of Oakland, Calif.’s ban prohibiting companies from transporting coal through an export terminal that U.S. miners see as a key link to overseas markets. The ban enacted by the city in 2014 violates a development agreement, U.S. District Judge Vince Chhabria said May 15 in a 37-page ruling. As demand for coal in the U.S. declines, miners depend increasingly on overseas markets. Yet Wyoming and Montana’s Powder River Basin, home to the nation’s largest reserves, is largely cut off from the world market without West Coast ports. Oakland is among several terminals in California and the Pacific Northwest that environmentalists have pushed to close to miners in an effort to keep U.S. coal off the international market. Reversing the ban could increase exports by as much as 19%, according to the Sierra Club. “Access to growing world markets for our coal reserves could be greatly enhanced — as well as the employment it would support throughout the supply chain — if we had the infrastructure befitting a global economic power,” Luke Popovich, a spokesman for the mining association, said in an e-mail. The legal dispute hinged on whether the coal ban violated an agreement between the city and a company developing a bulk loading terminal near the city’s port. The developer, Oakland Bulk & Oversized Terminal, argued the city had no substantial evidence that shipping coal through the terminal would endanger the health of workers or surrounding communities. “On the primary question presented by this lawsuit, Oakland is wrong,” Chhabria wrote. 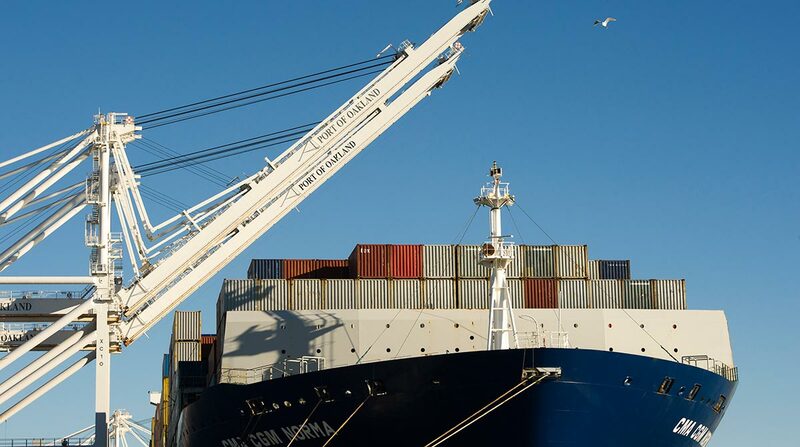 Even without the ban at the Oakland terminal, miners still may face obstacles trying to ship coal through the West Coast, according to Clarksons Platou Securities analyst Jeremy Sussman. “Most realists have come to the conclusion that West Coast states such as California, Washington and Oregon simply aren’t going to allow a lot of coal exports now or in the future,” he said in an e-mail. The case is Oakland Bulk & Oversized Terminal LLC v. City of Oakland.